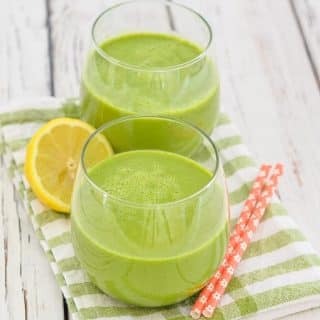 This Kale Apple Smoothie is quick & easy to make, full of good for you ingredients & will help get your day off to a great start. And for you banana haters out there, it’s banana free! This Kale Apple Smoothie is what I have been drinking in between all of the Sticky Lemon Sweet Rolls, Strawberry Sweet Roll Mug Cake and Ice-Cream Bars (to come soon) that I have been making of late. It kind of makes me feel slightly less guilty about the copious amounts of sugar I must have consumed, all in the name of recipe testing. 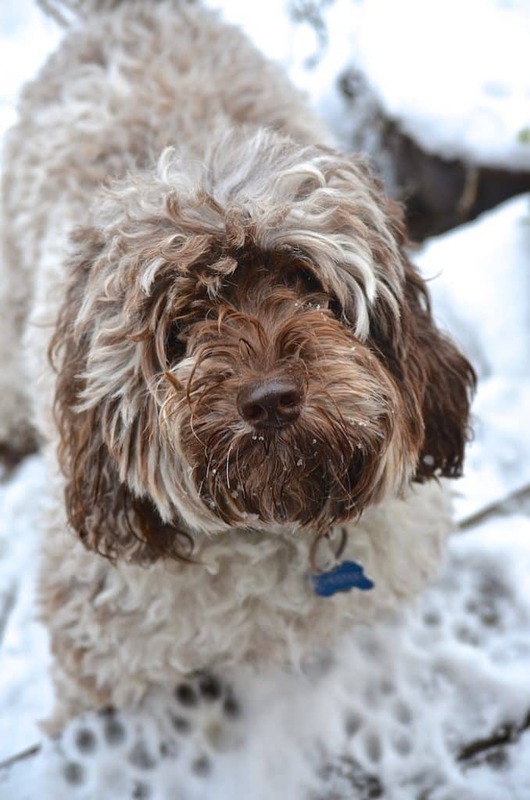 It’s also been super handy this week as Chester (the AVV mascot, my best buddy and chief dog cookie tester), is pretty sick. He had to be rushed to the vet yesterday ???? What started off as a limp on Monday, turned out to be nothing to do with his paw or leg. I won’t go into detail, as I don’t want to put you off your smoothie, but he has quite a bad infection and hasn’t moved or eaten for days. It’s been so sad. He’s on antibiotics now we finally know what the problem is, so I’m sure he’ll get better soon. I’ll keep you updated on my Instagram stories. So anyway, I have spent the past few days not doing much work at all. I have spent all my time cuddling Chester and worrying. I haven’t even really cooked much as it’s been baking hot here too, so smoothies like this Kale Apple Smoothie, nice-cream and salads have been our go-tos. I get requests all the time for banana free smoothies. It seems there are a lot of banana haters out there. I cannot even imagine, but even as someone who loves bananas, there are some flavour combos that they just don’t really work in. Kale and apple is one of them. I really did not like this smoothie with banana in it. Without banana, the flavour of the apple really comes through and it works so well with the kale, making it taste, well….less kale-y. ???? With the banana it just tasted weird. So, this smoothie ends up being naturally banana free. “Yay” say the banana haters! ???? 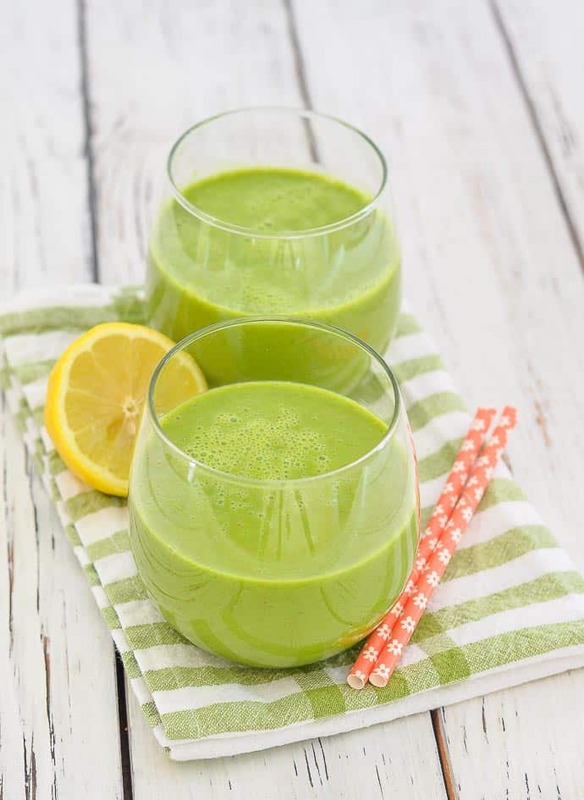 This Kale Apple Smoothie is made with simple ingredients and is super fresh and delicious. It’s also pretty low calorie although there is the option to add a dollop of almond butter if you want to get an extra helping of healthy fat and protein. It’s already super packed with goodness though and contains 250% of your daily required Vitamin A, 273% of your daily required Vitamin C, 62% of your calcium and 24% of your iron! Yes, it tastes of kale, but it isn’t too kale-y. The sweetness of the apple really works well and tones it down a lot. Plus the fresh burst of lemon juice helps too. To make it all you have to do is toss everything into a blender and blend. Then your power-packed green smoothie will be ready for you to enjoy! If you try it let me know what you think in the comments below and if you would rather have a more indulgent smoothie, check out my Luscious Lemon Cheesecake Smoothie. It is incredible and although still pretty healthy, it really doesn’t taste like it! 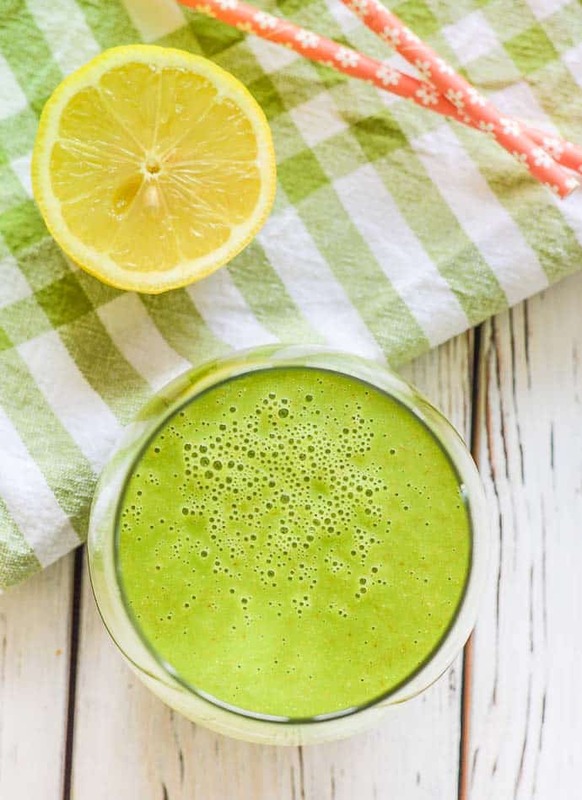 This Kale Apple Smoothie is quick & easy to make, full of good for you ingredients & will help get your day off to a great start. And for you banana haters out there, it's banana free! 1 large apple , cored (no need to peel unless you want to). Add all ingredients to a blender and blend until smooth. I use the smoothie setting on my Blendtec. Check the sweetness and add a drop more maple syrup if necessary. Nutritional information is calculated without almond butter and with 1 tablespoon of maple syrup.